Tsumeb Mine, Otjikoto Region, Namibia. 45mm x 35mm x 20mm. 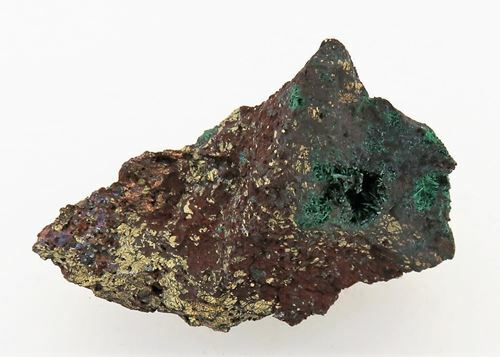 Pyrite was only reported from the early levels of Tsumeb and from the very deepest levels. Nothing in between. 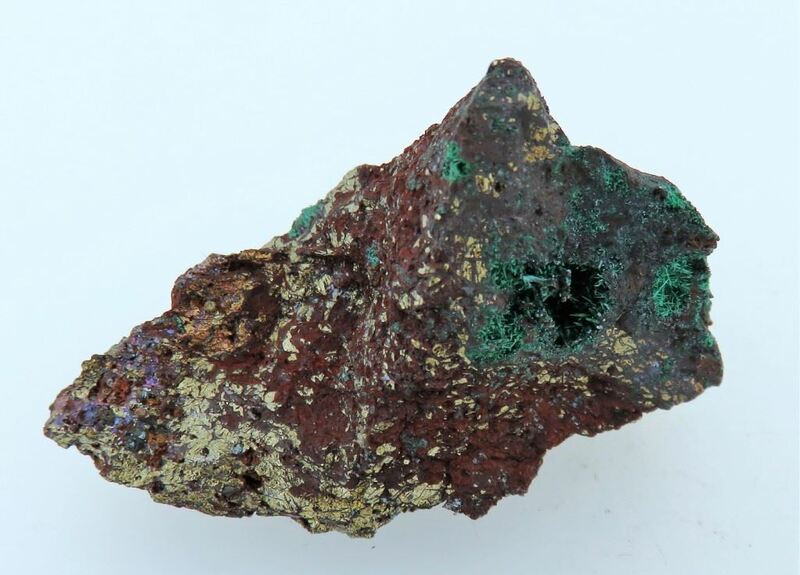 This is a rarity, one will easily see the pyrite, malachite and the small association of bornite.